Product prices and availability are accurate as of 2019-04-10 10:49:58 EDT and are subject to change. Any price and availability information displayed on http://www.amazon.com/ at the time of purchase will apply to the purchase of this product. 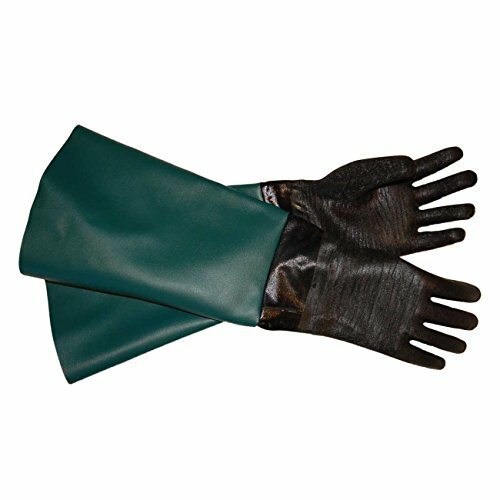 One pair of 7.25" diameter x 26" length Premium Heavy Duty Sandblasting Gloves. These blast gloves are constructed with very durable materials. 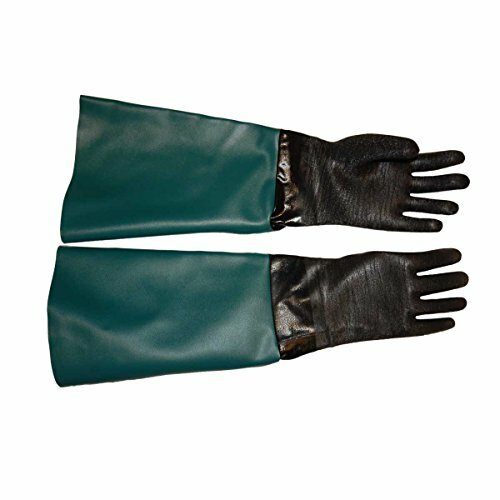 Sleeves are PVC vinyl and gloves are constructed of rugged heavy weight neoprene material to outlast many of those other cabinet gloves. All seems are double sewn for added reinforcement and durability. Sandblasting gloves and sleeves are cotton lined for operator comfort. All gloves are black. Sleeves come in various colors, but are a matching set. Item images are actual gloves, however sleeve color may vary from picture. 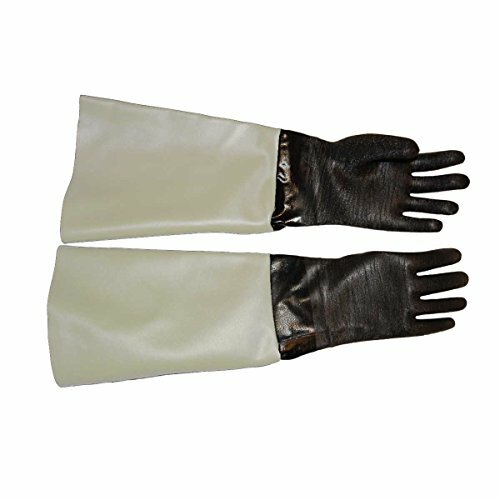 Each pair of sandblasting gloves consists of one left hand glove and one right hand glove. Glove sizes are based on diameter of opening and the entire length of the sandblast glove.